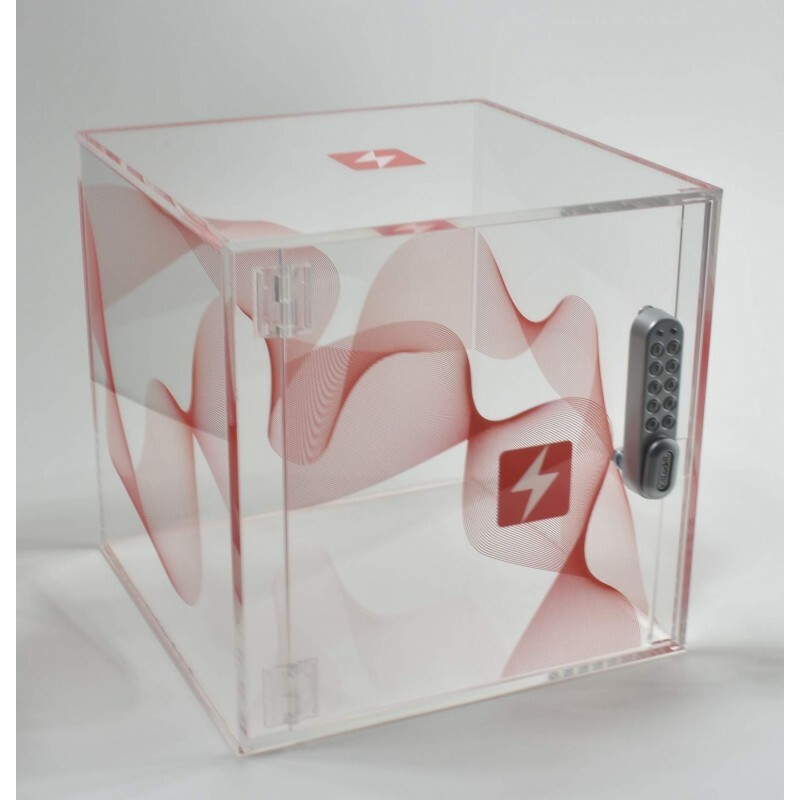 Industrial Safe highly polished display box featuring a hinged door and clear housing containing a battery powered digital lock. Can be made bespoke to your specifications and to house all kinds of valuable products from jewellery pieces and vintage champagne to iPad's and Xbox's. Available with a mirrored or coloured acrylic base and black or clear acrylic hinges are available. Can be used as competition safe in which entrants are invited to enter what they guess to be the winning code. The correct code then opens the safe allowing access to the prize which is fully on display. 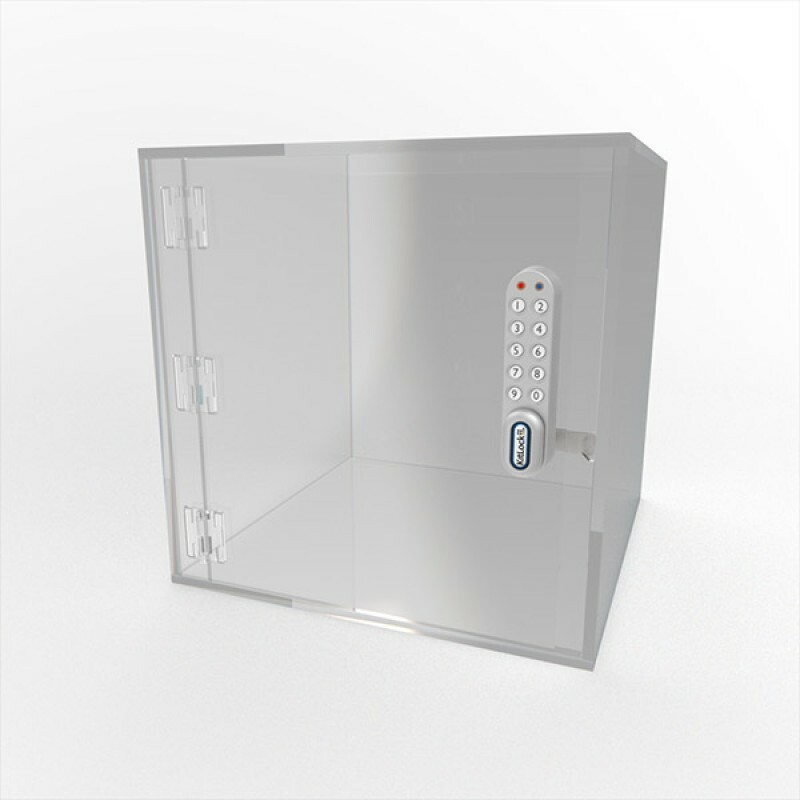 We stock our clear 355mm cube safes. 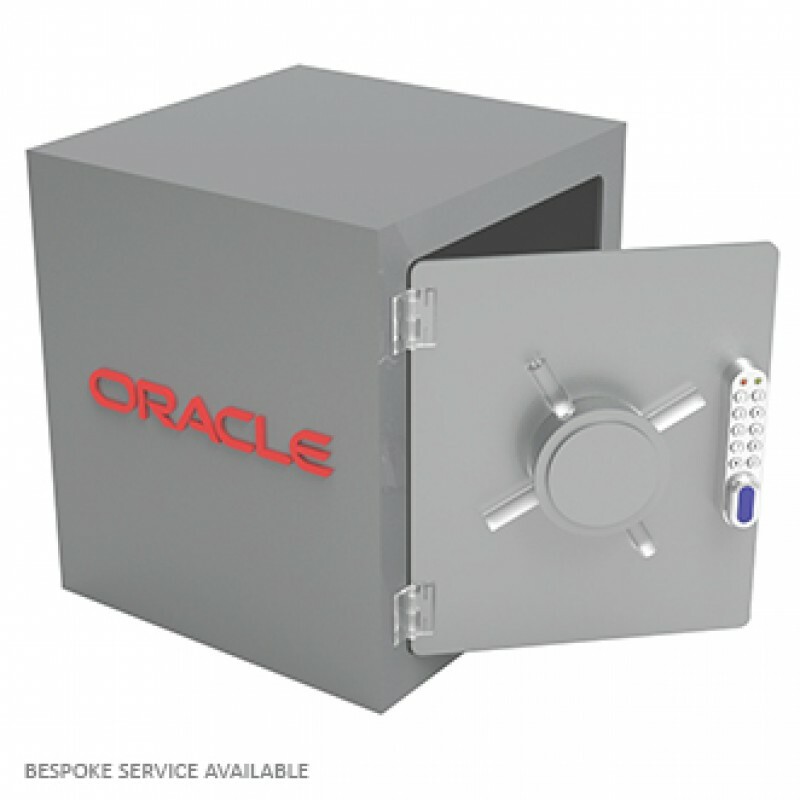 500mm cube safes are made to order in up to 2 weeks.